Six wooden gnomes dressed in beautiful earthy hues, ready to join your nature table or waldorf-inspired play space. 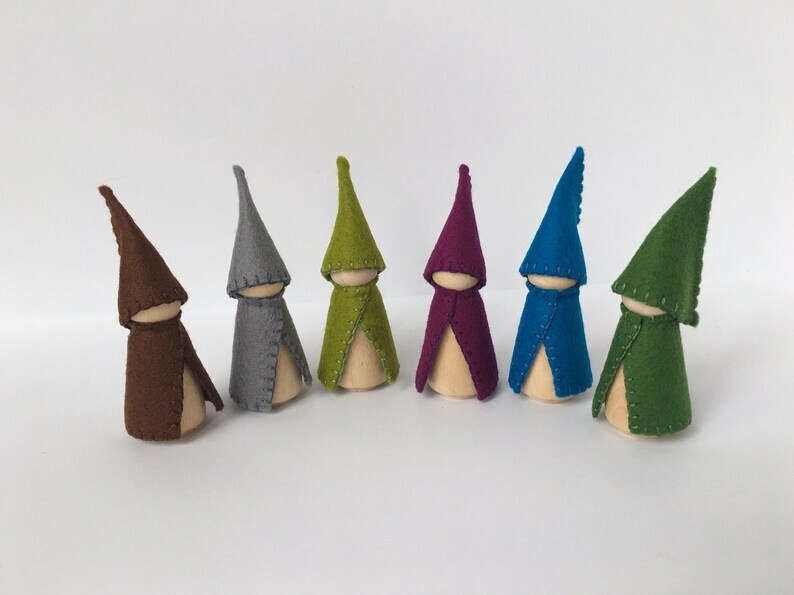 Solid wood peg dolls rubbed with my homemade nontoxic beeswax finish, dressed in hand cut and hand stitched 100% merino wool. I've attached the hats and cloaks permanently because children seem to prefer this for play. Just a bit over three inches tall, sturdy and delightfully tactile for small hands. For ages three and up. Thank you for visiting Dream Child Studio! Have a wonderful day!